Arborists care for individual trees while foresters manage populations of trees. For example, a forester may be responsible for managing a forest or woodlot for the production of timber or other wood products. The forester will make decisions regarding when and how to plant and harvest trees to meet their management objectives. Urban foresters manage the population of public trees in a community to maximize the benefits provided by trees, while minimizing the inherent risk posed by living in close proximity to these trees. A municipal forester would be an urban forester working for a particular town or city managing the public tree resources in that municipality. This would include trees in parks and other public green spaces, as well as street trees and trees growing in other municipal rights-of-way. An arborist is generally focused on caring for individual trees, often on private property. Arborists can be divided into two broad categories; Practicing Arborists and Consulting Arborists. A practicing arborist, aka, commercial arborist, is the type of tree care provider that many people first think of when they hear the word arborist. A practicing arborist may offer such tree care services as pruning, planting, removal, pesticide application, and fertilization. It is worth noting that the terms "arborist" and "tree expert" are not always regulated at the State or Municipal level and in New Jersey any person who chooses to work with trees may currently call themselves an "arborist" or "tree expert" and advertise their company as "XYZ Tree Expert Company." This has led to unqualified individuals performing tree work using unsafe work practices that have resulted in injuries, as well as incorrect pruning and care techniques that have damaged or destroyed many trees in our State. New Jersey recently passed the "Tree Experts and Tree Care Operators Licensing Act" in an effort to address these issues. 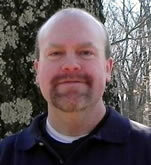 The Act will transform the current "NJ Certified Tree Expert" designation into a licensed credential in the near future. The International Society of Arboriculture (ISA) oversees the "ISA Certified Tree Worker," "ISA Certified Arborist," and "ISA Board Certified Master Arborist" credentials. An ISA Certified Tree Worker has demonstrated that he or she possess the skill and knowledge required to safely work on a tree crew performing general tree care tasks. An ISA Certified Arborist has met certain education and skill requirements, and passed an examination, to demonstrate that he or she possesses a solid working knowledge of all aspects of arboriculture including: Planting, Pruning, Soil Management, Species Identification, Safe Work Practices, Tree Biology, Diagnosis and Treatment, Tree Protection, and Tree Risk Management. The ISA Board Certified Master Arborist (BCMA) is the highest level of certification offered by the ISA. This credential recognizes individuals who have reached the pinnacle of their profession. In addition to passing an extensive scenario-based examination, candidates must abide by a Code of Ethics. Fewer than two percent of all ISA Certified Arborists currently hold the BCMA certification. In addition to certification of arborists, the ISA also qualifies arborists in specific areas. For example, an arborist who is ISA Tree Risk Assessment Qualified (TRAQ) has demonstrated knowledge in the standardized and systematic assessment of tree risk. Consulting arborists differ from practicing arborists in that they are, as their name implies, primarily consultants. Consulting arborists make tree care recommendations to improve the health and safety of trees. Many homeowners and property managers retain a consulting arborist when they require an independent expert opinion regarding tree care issues. A practicing arborist may also make tree care recommendations, often as part of a "free estimate," but since the practicing arborist is often also offering to perform the recommended work, this arrangement may be viewed by some as a potential conflict of interest. In addition to providing general tree care recommendations, consulting arborists may offer tree value appraisals, tree risk assessments, expert witness testimony, and litigation support services for attorneys, insurance companies, homeowners, and property managers. Consulting arborists may possess any of the ISA or State certifications that practicing arborists possess. In addition, consulting arborists may be registered by or be members of the American Society of Consulting Arborists (ASCA).